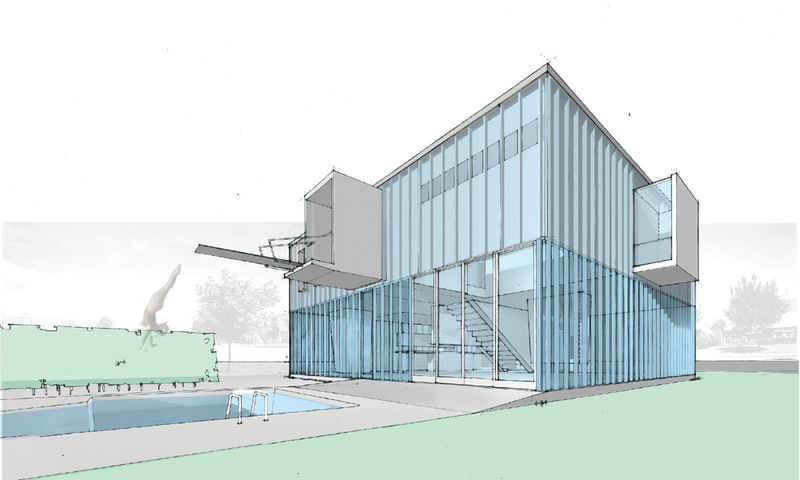 This speculative house design was commissioned by Etekt.com, which attempted to pair clients with architects through parametric house design prototypes available on the internet. As such, the prototype had to be both general and specific, utopian and pragmatic, adjustable and fixed. Assuming the dimensions of a generic developer lot, the Upside House takes advantage of two opposed spatial logics of suburban space. The open-plan ground floor fulfills the modernist predilection for open space while the upper-floor plan is informed by a laundry list of private, commodity rooms—bedrooms, walk-in closets, master bathrooms, bonus rooms, etc.—required by the client. 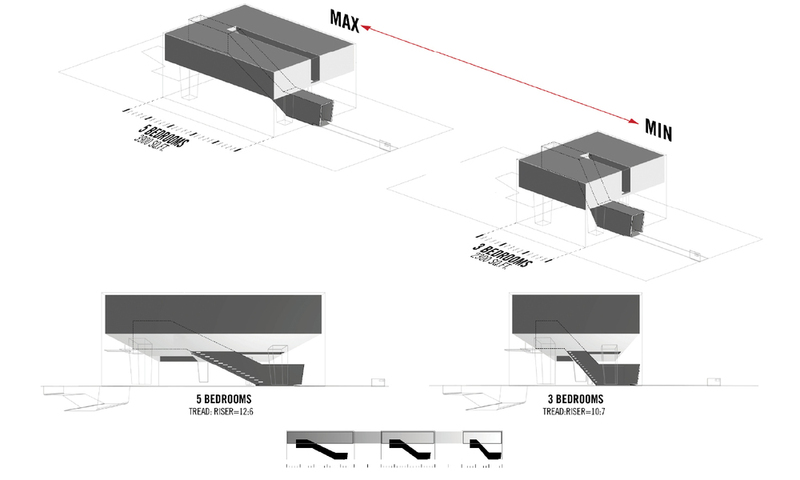 While the relation of the Upside House to the street front remains constant, the number of bedrooms and other commodity rooms can be increased as desired by the client, which results in an equivalent spatial increase in the first-floor open plan living below. 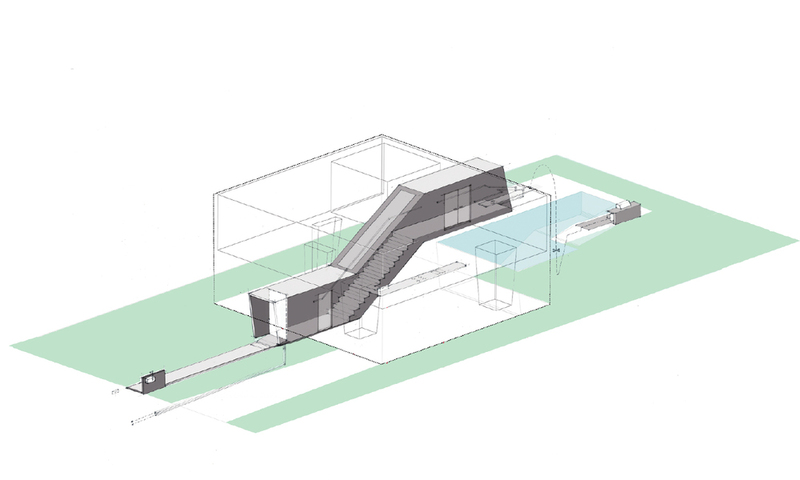 As the house grows more spacious and more expensive, the slope of the stair becomes more gentle and gracious, ranging from the maximum allowable slope to a gradual angle ideal for protracted ceremonial descents.